Inspiring my children to cook has always been very important to me. It is a life long skill that they will definitely need no matter where they go or live. I jumped at the chance to review Yummy Nummies so my daughter could make a few things on her own without my help. Yummy Nummies are candy, and snackl making sets that come with everything kids need to create no-bake, realistic- tasting mini treats! Magically fun and delicious, Yummy Nummies intrigue little taste buds with a creative activity that requires no oven or stove. The results are adorable little treats that look and taste just like the real thing – the cupcakes smell and taste freshly baked! 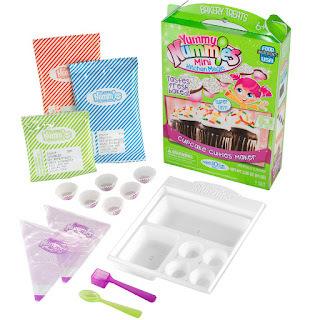 Yummy Nummies are a tasty and fun way for the bakers of tomorrow to explore and learn in the kitchen! The Soda Shoppe Playset makes 20+ mini sodas with tiny bubbles bursting with flavor that appear like magic. Dispense your drink, add bubbly flavors and make it fizzy! Includes 1 playset, 1 kitchen magic tray, 1 instruction sheet, 1 strawberry flavour packet, 1 bubble gum flavour packet, 1 cola flavour packet, 1 blue raspberry flavour packet, 1 vanilla base packet, 1 fizz packet, 1 spoon, 1 measuring scoop, 6 droppers, 3 cups and 3 curly straws. Yummy Nummies are a great way to introduce cooking to your child. They are very quick and easy to make so they give your child the satisfaction of making it on their own. 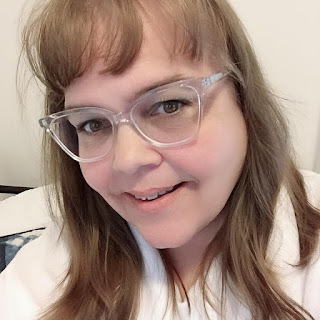 Does your child cook in the kitchen with you?